There were arguments over food, helmets and spacesuits that required 30 minutes for astronauts to use the bathroom. The prime crew of Apollo 7: (L-R) Command Module pilot Don F. Eisele, Commander Walter M. Schirra Jr. and Lunar Module pilot Walter Cunningham. By 1968, America’s space program was on the brink. A launchpad fire at Cape Canaveral killed three astronauts as they were conducting tests in their space capsule in January 1967. 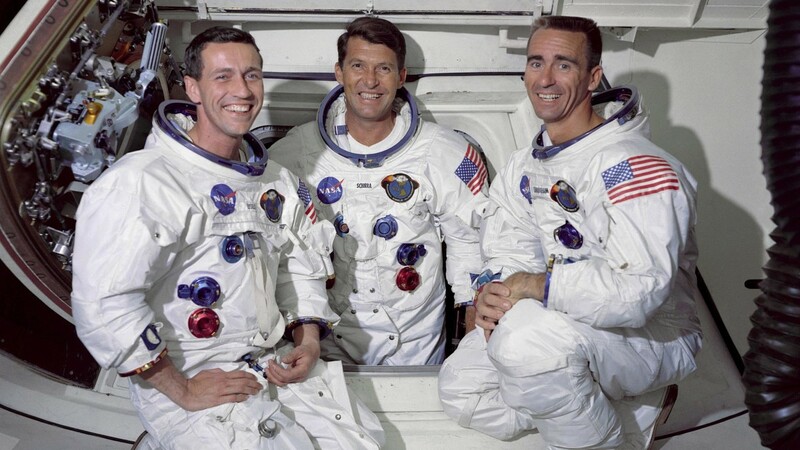 After 20 months of congressional hearings, political fallout and a spacecraft redesign, three new astronauts prepared for a mission dubbed Apollo 7: Wally Schirra, Donn Eisele and Walter Cunningham. The crew’s 11-day mission to orbit the Earth was a shakedown cruise for an eventual trip to the moon. It was the first time three men flew in space together, and also the first time NASA broadcast a television feed from space. 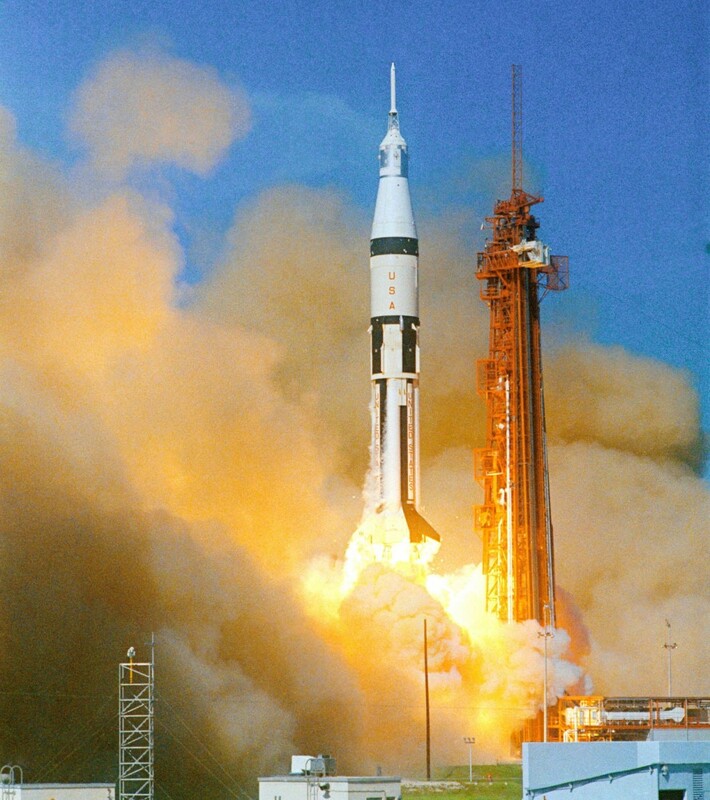 Apollo 7 was a crucial step toward Apollo 11’s epic journey in July 1969. But it is also remembered for the testy exchanges between the crew and NASA officials on the ground that almost turned into a mutiny. Astronauts were unhappy from the start. The lessons from Apollo 7 continue to resonate a half century on as both NASA and private space companies plan for human missions back to the moon and perhaps Mars. Nearly any technical problem can be solved when crew and ground controllers cooperate, but as Apollo 7 showed, disagreements can turn a mission upside down, experts say. There were arguments over whether to launch at all, conflicts over a television broadcast, complaints about the food, and unhappiness with spacesuits that required 30 minutes for astronauts to use the bathroom. Schirra, a 45-year-old former Gemini astronaut and a Navy test pilot, was at the center of the disputes. He had already decided to leave NASA when he was selected for the Apollo 7 mission. Apollo 7 lifting off from Cape Kennedy Launch Complex 34 on October 11, 1968. Wally Schirra was shaken by the death of a fellow astronaut. Schirra was badly shaken by the death of his friend and neighbor Gus Grissom in the Apollo 1 fire. The safety of his crew was his prime concern and outweighed nearly all other tasks that NASA planned for the Apollo 7 flight, according to Andrew Chaikin, a NASA historian and author of A Man on the Moon: The Voyages of The Apollo Astronauts. In the aftermath of the fire, Schirra and everyone else at NASA was on edge. Schirra was used to flying by himself, as an aviator. During the three-man Apollo flight, Schirra seemed to have strong feelings about what it meant to be a mission commander. The existing tension and anxiety that Schirra felt about the fire was compounded by decisions NASA officials made during launch. After the launchpad fire, NASA engineers designed an emergency system that would allow the crew capsule to separate from the booster rocket. A ground-based landing could endanger the crew because the seats in the Apollo command module didn’t have extra padding that was installed in later missions. On October 14, 1968, the Apollo 7 crew became the first to broadcast live on television from space. 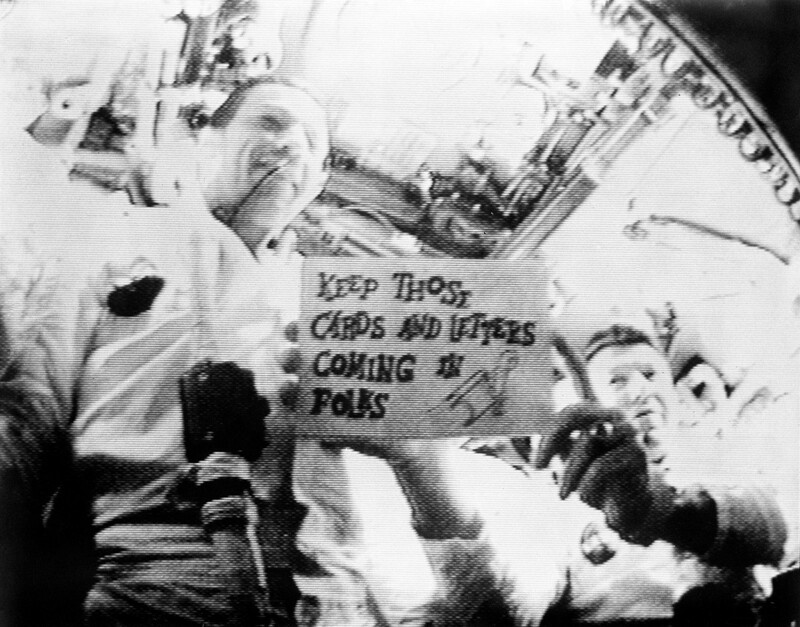 In this photo, Schirra and Eisele are seen holding a sign which reads, "Keep those cards and letters coming in, folks!" A bad head cold made matters worse. Controllers and crew agreed that Apollo 7 would not take off if the winds at Cape Canaveral were blowing onshore, but on the day of the launch, Oct. 11, 1968, the launch manager decided to go ahead anyway. Schirra wasn’t happy, and his grumpiness got worse after he woke up the first day with a terrible head cold. In the zero-gravity environment of space, mucus accumulates in the nasal passage and does not drain out of the head. Schirra tried blowing into tissues but found it only made his eardrums more painful. “It quickly turned our cozy little spacecraft into a used Kleenex container,” Cunningham said, according to an account of the mission by NASA ground controller Hamish Lindsay. As Schirra’s cold worsened, so did his relationship with Mission Control in Houston. Schirra didn’t want to participate in a planned TV broadcast until after the crew had finished testing a precision rendezvous with the spacecraft booster, but later relented. 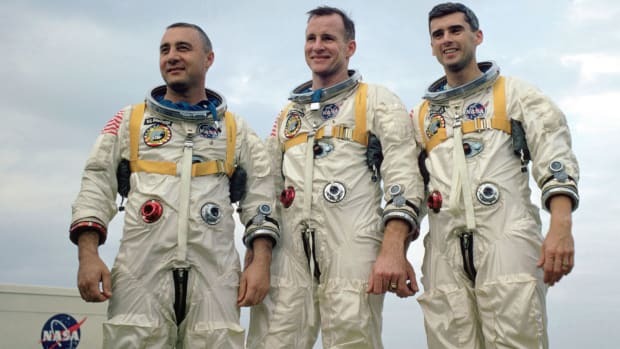 The big blow-up occurred toward the end of the mission when Schirra told Houston that the crew would not be wearing their helmets during landing. He wanted to be able to blow his nose and clear his nasal passages. NASA said the helmets were needed to protect the crew in case there was an accidental capsule depressurization. 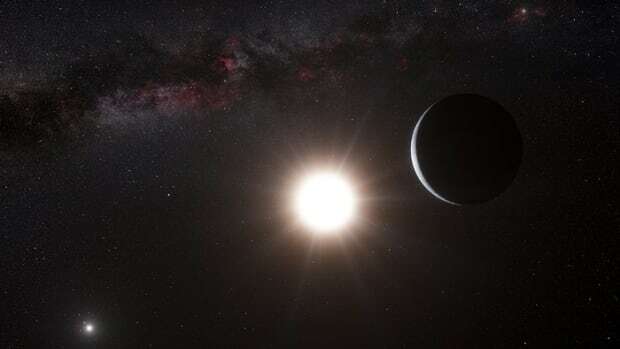 Schirra won that battle, and the crew returned to Earth safely on Oct. 22. There wouldn’t be another such mutiny in space until 1973, when three astronauts on Skylab 3 turned off communications with Houston for a day to protest the intense workload of the mission. Schirra left NASA and became TV commentator alongside Walter Cronkite on the remaining Apollo flights. He also became a TV pitchman for Actifed, makers of the same nasal decongestant he used in space. Eisele and Cunningham never flew in space again.